Winter is closing in on us. In just a few short months it will officially be here. 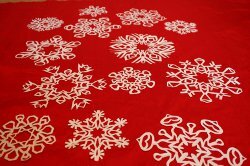 While we aren’t looking forward to shoveling our cards out of the snow, we here at FaveCrafts are getting excited about Christmas! Like Santa’s elves, we have already begun working away, finding unique and one-of-a-kind ways to celebrate. 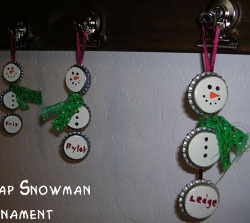 We thought we’d share some wonderful homemade Christmas ornaments for kids, so you can begin getting your whole family excited about up the upcoming holiday. 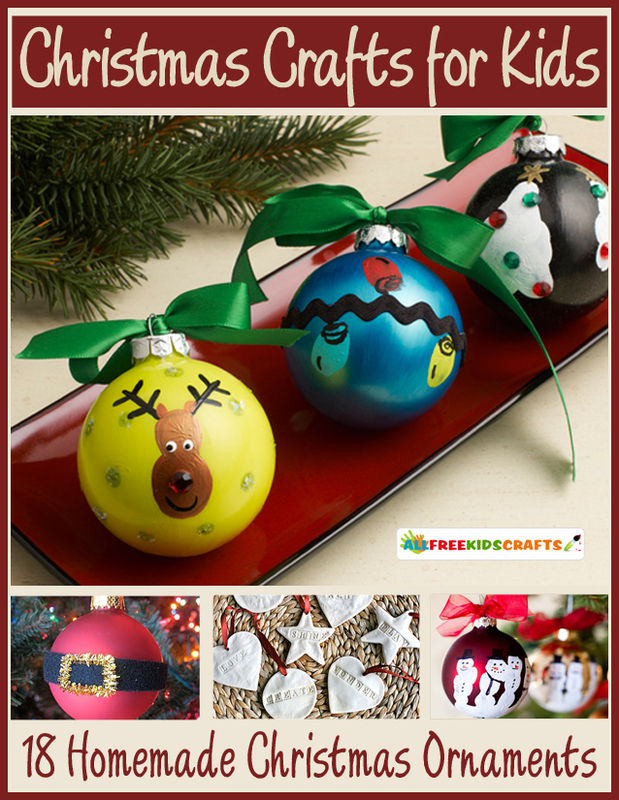 These are 15 easy kids crafts that will give you plenty of Christmas tree decorating ideas when it finally comes time to set up the tree. From snowmen to penguins, to glittery fairies, we have something for everyone. 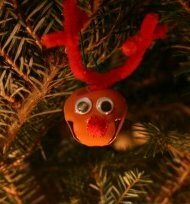 As you probably already know, homemade Christmas ornaments add a special touch to your tree and become keepsakes you’ll cherish year after year. So break out the glue sticks and paint and let’s get crafting! 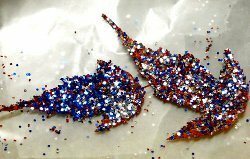 Pick up some pinecone’s from your lawn or around your neighborhood and grab some glitter. 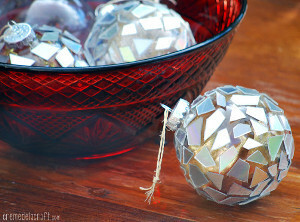 This an easy homemade ornament that will look glamorous on your tree. 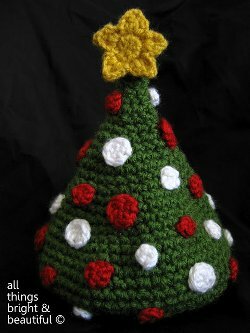 Create a mini tree for your big tree this year. 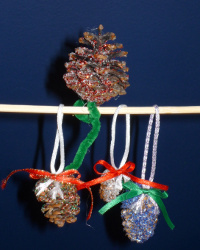 Have your kids use beads and glitter to decorate their miniature Christmas trees. This is perfect for kids on the younger end. 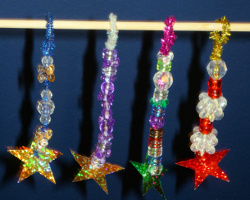 All you need is some pipe cleaners and beads. It’ll look like a sparking icicle when they’re done. This craft will fill your house with the scent of Cinnamon. The kids will need some help in the kitchen. This is truly a unique christmas ornament. 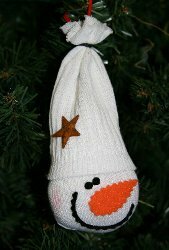 Have your kids bring Frosty to life with a sock. This is a funny ornament that they’ll love showing off to all their friends. 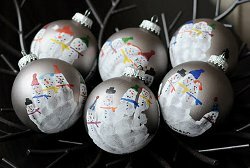 With just a bit of paint, your kids can create a whole family of snowmen with their hand. Are your kids familiar with the Polar Express? This homemade ornament combines both a bell and a reindeer. Awesome, right? 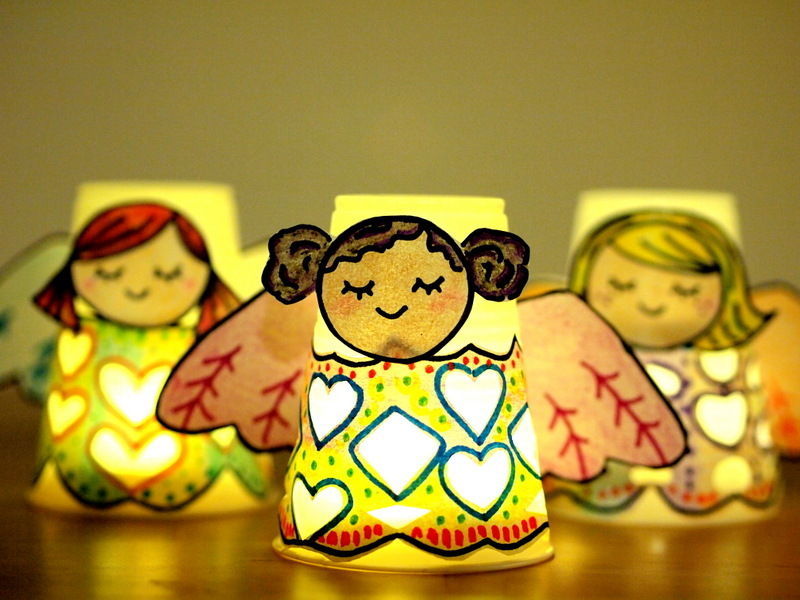 Bring these Christmas fairies to life with a little trust and pixie dust. 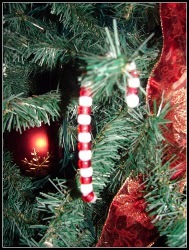 Candy canes are the classic Christmas candy. 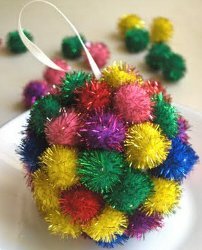 This is another great craft for one of your younger children. 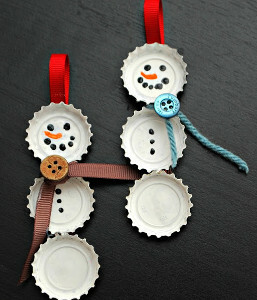 Recycle your old bottle caps to create these adorable snowmen. What kid doesn’t love ice cream? 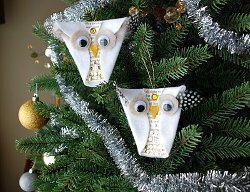 Now they can create a fun ornament to hang right on their tree. 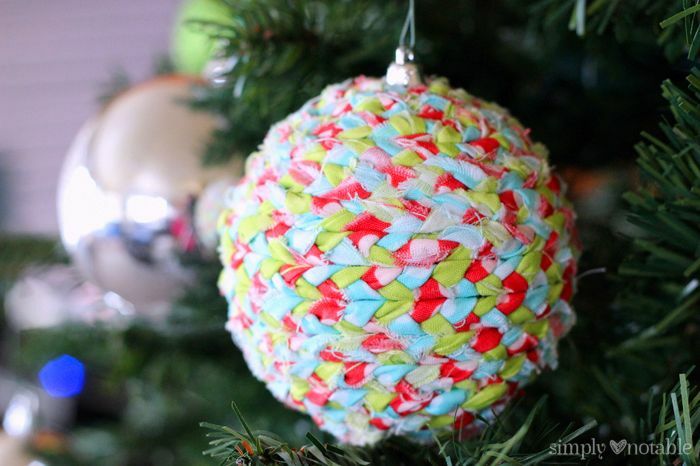 This one of the easiest homemade Christmas ornaments. 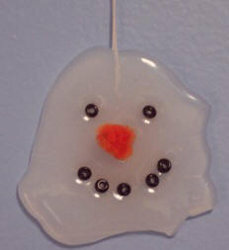 Using hot glue and beads, you’ll have your very own melted snowman. 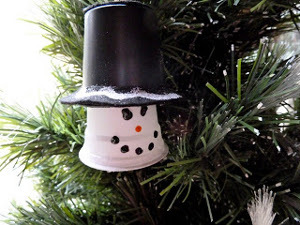 Recycle a plastic cup and watch your kids create a snowman in front of your very eyes. 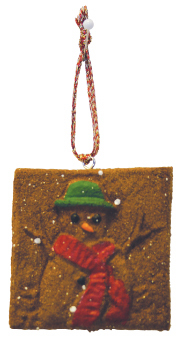 This is an easy Christmas ornament that will make your Christmas tree sparkle. 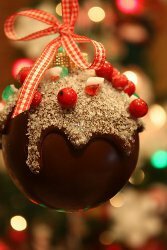 What is your favorite homemade Christmas ornament and why? We’ve all been there. You think you’re good to go in terms of Christmas, birthdays and all other homemade presents and all of a sudden a new baby is born. Be prepared for your next get-together by learning how to make homemade gifts for new babies that will be well received by both the newborn and the parents. These baby gift ideas are super fun to make, not only because they are easy to put together, but because they’re just darn right cute. Whether you use these as birthday gift ideas, baby shower gift ideas or Christmas gift ideas, this collection of crafts is worth checking out. Follow my list of DIY baby gifts and consider saving yourself a trip to the toy store and indulging in a little craft-time for yourself. 1. Based off of my interactions with new parents, I’ve learned that they’re terrified for their baby’s well-being. I never come across a new parent who doesn’t continually glance at their child as though they’re waiting for spontaneous combustion of some sort. This is entirely understandable and can be used to your advantage when deciding on homemade gift ideas. 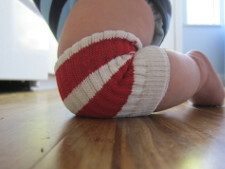 This Christmas, create these super easy Best Baby Knee Pads. It’s scary enough having a crawling baby loose in the house. Put the parents’ minds at ease by providing some knee protection for their little one’s sensitive skin. 2. Obviously, this Baby Christmas Beanie is for the holiday season. 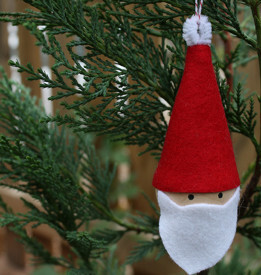 Homemade Christmas gifts for babies really don’t get cuter than this tree topper. The newborn will be getting a lot of baby hats during its debut into the big bad world, but you can gift a homemade hat that’s unlike any other with this crochet craft. 3. I love this idea from Club Chica Circle. 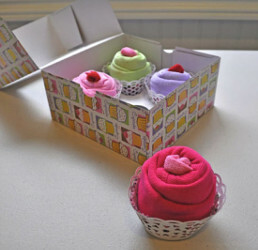 This Cupcake Onesie Gift Idea provides practical supplies for parents and it looks delicious. As a die-hard cupcake fan, I’m in love with this gift presentation. For me one of the hardest parts about giving a gift (after the hurdle of selecting one) is wrapping it. 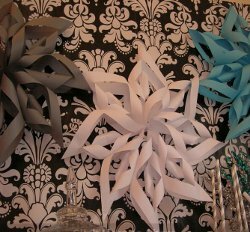 Check out this project if you’re at a loss for gift wrapping ideas. 4. I just couldn’t ignore the royal baby buzz. 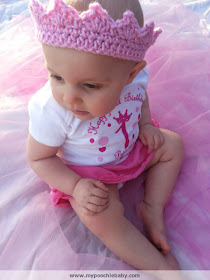 Treat your friends and family’s newborns like royalty by crocheting this adorable Crochet Crown from Poochie Baby Crochet Designs. Once you tackle this design, treat yourself to a crown for yourself. After all, if it’s good enough for royalty, it’s good enough for you, right? 5. 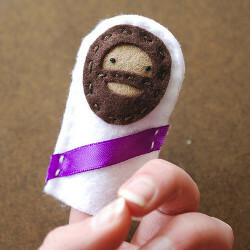 This Jesus Felt Finger Puppet really should be at the top of my list for baby crafts. I love this baby gift idea. Say you’re running late for a party and you know there’s a baby there waiting for a present (because all babies expect them). You can whip up this itty-bitty puppet and entertain that little rascal endlessly. Plus, the subject of this puppet couldn’t get any safer. Parents will love you for investing energy into entertaining their child. For more great baby gift and Christmas ideas visit our site! 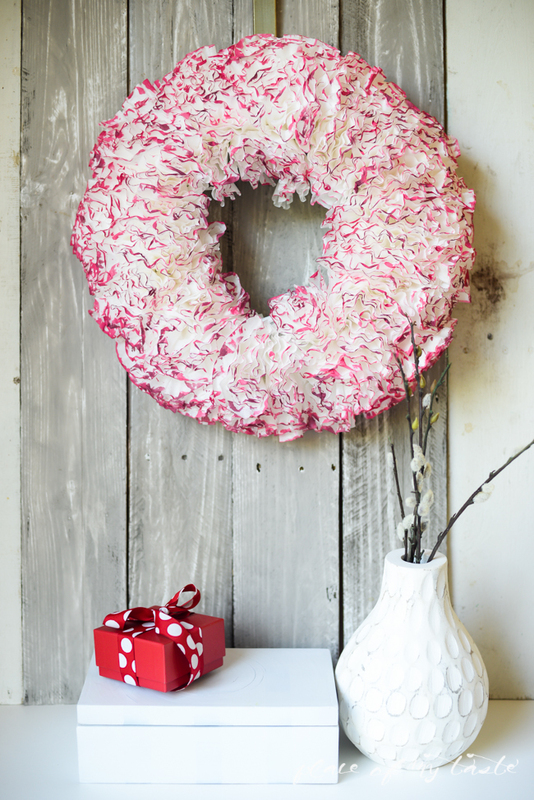 There are tons of Christmas-inspired projects that will have you crafting in no time. What’s the strangest baby gift you’ve ever seen? 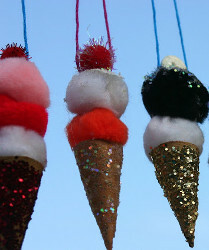 11 Homemade Gifts that Kids Can Make! When I was little, my siblings and I used to sneak into my mom’s craft room and try to create a gift that would impress her. Nothing says “I love you” like a macaroni necklace, right? It didn’t matter if it was a finger-painted card or a beaded bracelet, my mom collected those gifts and still has them displayed in the craft room to this day. Homemade gifts are such a wonderful way to show someone you care about them. Though I’m guilty of handing out gift cards every once in a while, there is nothing like the feeling of spending time on a gift that you know someone will love. It’s so much more personal and fun! 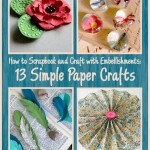 Your kids will love making their own crafts to give, whether it’s a gift for the holidays, a birthday, or just because. Don’t underestimate the power of a creative kid; they might just surprise you with their masterpieces! 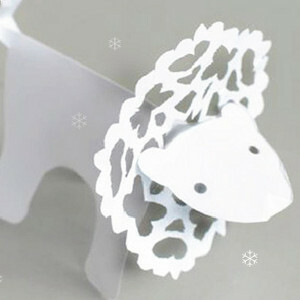 Here are some cute gift ideas that kids can make themselves. Anyone would be glad to receive one of these thoughtful gifts! Improve upon the classic macaroni necklace with these easy jewelry projects that kids can make. Have them collect bottle caps to make personalized Resin Bottle Cap Pins. Kids can do some basic beading to make Safety Pin Bracelets; they look so good, you won’t be able to tell they are made from safety pins. As a kid, I loved playing with shrink plastic. It was so cool how it would magically shrink in the oven! These Shrink Jewelry Charms are so fun to make, and kids can get creative and design their own charms. 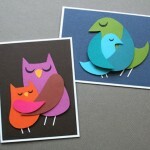 We also have some great crafts that make wonderful home decor gifts. 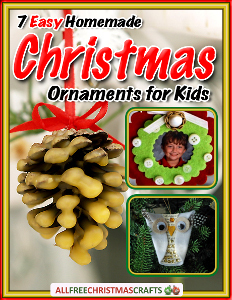 Kids will love seeing their handmade gifts displayed in their grandparents’ or aunt’s homes. These Tissue Paper Bowls are colorful and can be easily made with ordinary things you have lying around the house. The No Sew Fleece Blanket is super easy and little hands are perfect for tying the simple knots. I’m a big fan of these blankets; I’ve made a bunch of these for myself and friends. 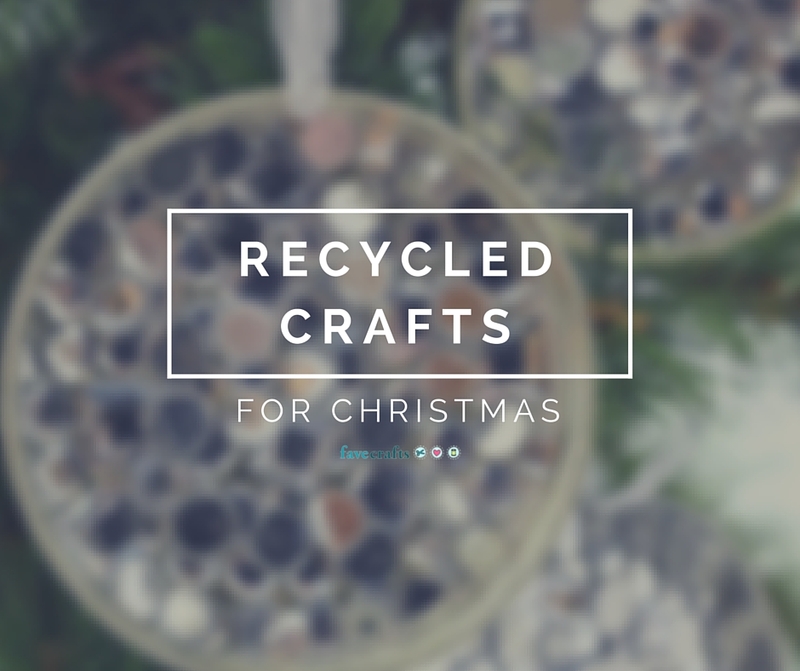 Recycle some old jars to make beautiful Priceless Candle Holders. Kids can create a mosaic design out of price tags. Who knew?! Here are some more great homemade gift ideas from AllFreeKidsCrafts that are perfect for little hands to make! What’s the best homemade gift you have ever received? 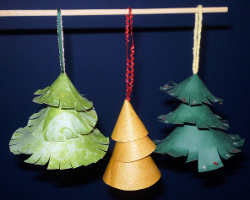 Julie ree sells a template for these pyramid tree garlands on etsy. They double as fireplace mantel decor! 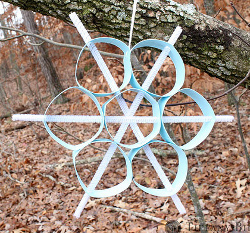 Recycle vintage wooden spools to make this adorable Advent calendar from Just Something I Made. Susan at Live, Laugh, and Create! 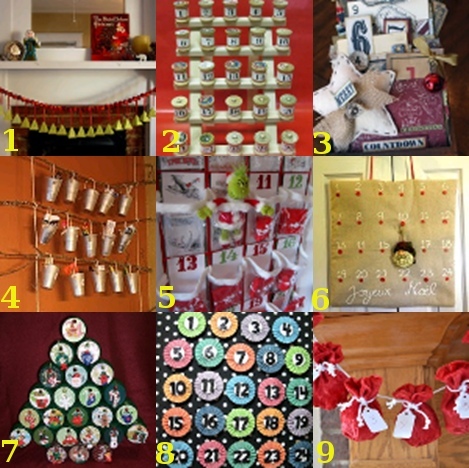 makes a Christmas countdown project every year, and it’s awesome! 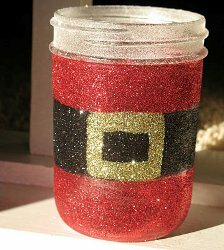 Here’s another Pottery Barn inspired craft: Olivia Renn made hers using–get this–solo cups! What an ingenious use for a shoe organizer! Head over to Chica and Jo to find out how to turn yours into a Grinch Advent calendar. This Advent calendar from Raspberry & Chocolate is simple, clean, and French! 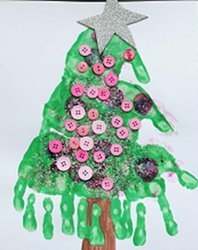 If you’ve got baby jars up the wazoo, turn them into a tree-shaped Advent calendar with Naptime Crafters. Learn how to make accordion pleated circles with Polka Dot Pineapple, and turn them into this glam, glitzy magnetic Advent calendar. 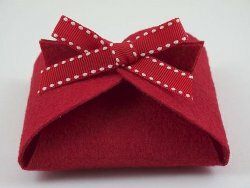 Sew a mini Santa sack for every day of Advent, and fill them with special treats for this kids. Learn how over at The Mother Huddle.